The first flyers showed up at a town home community in Tucker, near the high school. A resident discovered them Friday evening, Oct. 26. In a plastic bag, weighted down to keep it from flying away, was a recruitment poster for the KKK. This flyer said, “Help us fight the spread of Islam in our country” and featured an image of a pointing Klansman. It included a phone number and a website address. DeKalb County Police collected three flyers from the town homes. 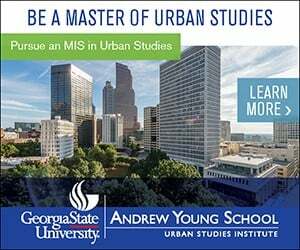 Then, on Oct. 28, police found flyers in the 1800 block of Mason Mill Road and Henderson Park in Tucker. According to a witness, flyers at Henderson Park were stuffed inside books that were inside the free library kiosk. The police department says it is investigating to determine if any criminal charges to be filed. Shelley Rose, Deputy Regional Director with the Anti-Defamation League, a group that fights hate and anti-antisemitism, said it’s unlikely the flyers will lead to criminal charges. 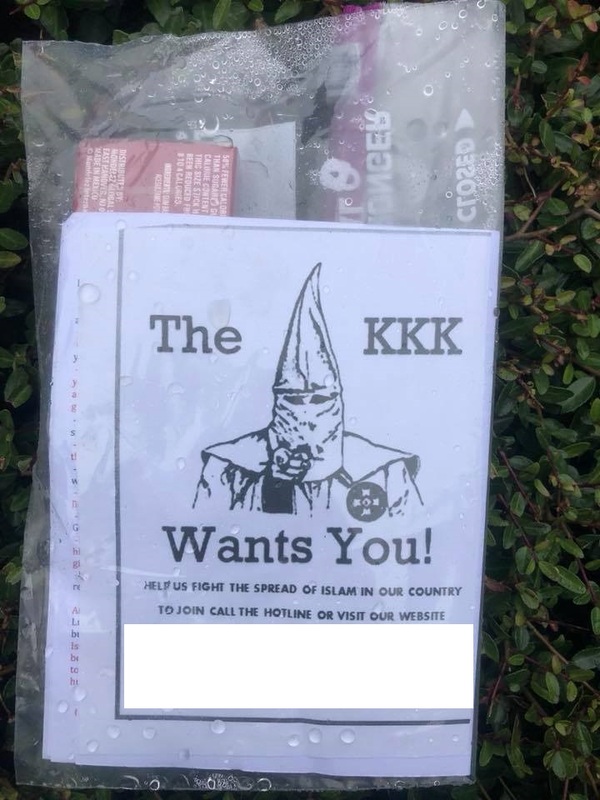 Rose said the group hasn’t noticed an uptick in these kinds of flyers going out, saying these tactics have been common among white supremacist groups for years. What the group has noticed is white supremacists who are newly-emboldened since the election of President Trump. She pointed to the Unite the Right Rally in 2017 that resulted in the death of a counter-protester, and a shooting at a synagogue that occurred on Saturday in Pittsburgh that took the lives of 11 people. According to the Washington Post, some Jewish leaders in Pittsburgh have asked Trump not to visit and are calling on the president to “fully denounce” white nationalism. Rose said ADL provides resources for how communities can fight back against this kind of racist behavior without emboldening the racists who do it. ADL’s “Responding to Hate” information guide encourages people who witness these incidents to contact police. Rose said people can also attend a vigil to show solidarity with the victims of the Pittsburgh synagogue shooting. For a list of vigils and memorial services happening in Atlanta this week, click here. “There are lots of vigils going on and folks coming together in a show of support and solidarity, so that’s really important,” she said. Tucker Mayor Frank Auman said the city has been working with law enforcement to identify the persons responsible for the flyers.